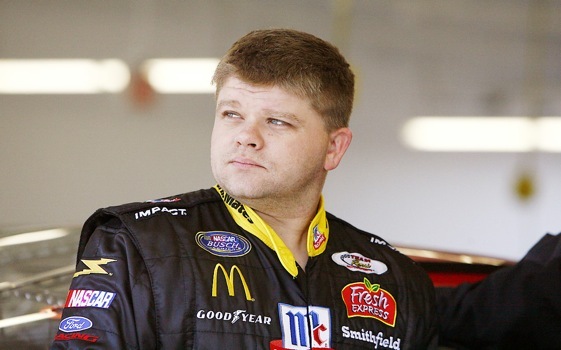 Ridgetop, Tenn. – Fourth-generation racer Bobby Hamilton Jr. says he’s “getting a quick education” about the other side of the sport. Highland Rim is a paved quarter-mile track located 20 miles north of Nashville. Over its past 48 seasons it has earned a rowdy reputation – on and off the track. Sometimes the action on the track spilled over into the pits and the grandstands. Prompting his decision was this year’s closure of 52-year-old Fairgrounds Speedway in Nashville. Hamilton believes displaced drivers and fans will gravitate to his track. He’s encouraged by the fact that that during a practice session last week more cars showed up than he had room for. Hamilton said such things as getting his race inspectors and officials in place, hiring concession-stand workers and security personnel, cleaning restrooms and grandstands, handling driver-entry forms “and a million other details” have made for a busy winter. Hamilton, who over the years raced in the Sprint Cup and Nationwide Series, said his driving career is on hold. Hamilton, assisted by wife Stephanie, said many of his racing friends and associates have pitched in to help. The track’s feature series will be the Late Model division. It will also run Sportsman, Baby Grand, Pro Truck, Pure Stock and Rim Runner divisions. “Our goal is to make racing affordable for everyone on some level,” Hamilton said. Good to see the little runt finally get into something he MIGHT be able to handle. Good riddance!!! And the same to your wife and her dog!!! Keep up the good work Bobby, hope you are successful with your new venture. Hope you can get back on the track soon, hey why not there once in a while. Good to see Bobby staying in racing in some capacity, He just got caught in a numbers game forced out by rookies with family owned buisness willing to sponsor a car. maybe one day he can come back when the economy turns around. The Hamiltons are a Great racing family that is missed.